Coaches are experts in their field, and have the qualifications and “palmarès” to prove it. Their advice saves you the huge amount of time you would otherwise need to invest in developing your own training programme and in separating out what actually works from all the pseudo-science and inappropriate or conflicting advice that is published every year. 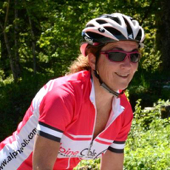 It is very easy to get advice on how to improve your cycling performance. You only have to pick up a magazine, do a quick internet search, purchase a couple of books and ask your training buddies or club coach and you will very quickly gather a mass of information. The problem is that very little of this information will take into account your specific needs. The plan needs frequent adjustments as the weeks go by, as your strengths and weaknesses are revealed and your rate of progress becomes clear, and as unforeseen circumstances force changes in the plan. Doing this well requires time and expertise: hence the first part of a coach’s value to you. The second part of performance is how well you ride the event. Thousands of bike races have been won by riders that were not the strongest, but made the most of their abilities and the race conditions to beat faster riders. 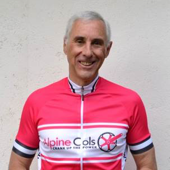 Our coaches at Alpine Cols are experienced competitors that understand this and will give you invaluable advice to help you pace better, place yourself better and judge the right moments to make your moves. Pacing is particularly important in ultra-distance events like the Tour du Mont Blanc, which takes most people 14 to 18 hours, or in seven day events like the Haute Route It is no use being in the top 50 on Stage 1 of the Haute Route if you then drop to the 200th place on Stage 3! Learning “race-smarts” from your coach could help you finish much higher up the order: this is the second part of the coach’s value to you. 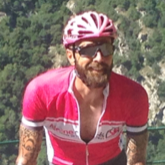 What your cycling coach will do for you. Save you time. For busy people, time is the most valuable commodity. 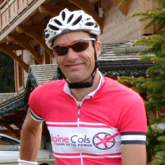 Your cycling coach saves you time by designing a training programme to suit your personal objectives and available training times. You don’t need to think about it: just get changed into your cycling gear and follow the plan! Provide goals and structure. Your coach will help you define your training goals very specifically, and will then structure a state-of-the-art training plan with you. This will take into account your availability and your constraints, to give you the best chance of achieving your goals. Hold you accountable. Your coach is the objective outsider who will act as your conscience: did you do the training or not? Your coach’s role is to hold you accountable for your commitments, and make sure you put in those hard miles and do the tough intervals needed to reach your summer objectives. Provide expert advice. 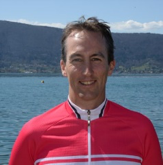 Your coach has a deep knowledge and experience of cycling and is able to advise you on any aspect of your sport, from the right line to take while cornering during a race to pre-event nutritional strategies and much more. Inspire you. Your coach will motivate you to reach your potential as a cyclist, whether you aspire to win races or just to finish a sportive comfortably in the middle. If you engage a coach, you are likely not only to improve faster but also to reach a higher level than would otherwise be the case. Only you can judge how much this is worth to you! 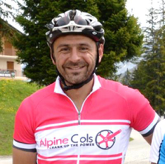 Interested in an Alpine Cols cycling coach?